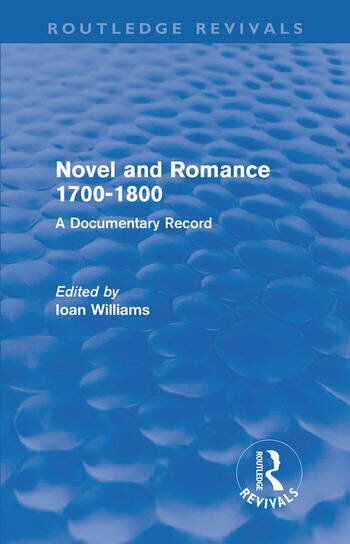 The documents collected in this volume, first published in 1970, trace the development of novel criticism during one of the most formative periods in the history of fiction: from 1700-1800. The material includes prefaces to collections, translations and original novels; essays written for journals modelled on the Spectator; passages taken from miscellanies and from books written primarily for some purpose unconnected with the novel; reviews from the monthly reviews; and introductions to the collected works of certain authors. This volume covers 100 years of criticism and creative writing, and the materials are arranged chronologically. Each of the documents is headed by an Introductory Note and the Editor has provided an important historical introduction.